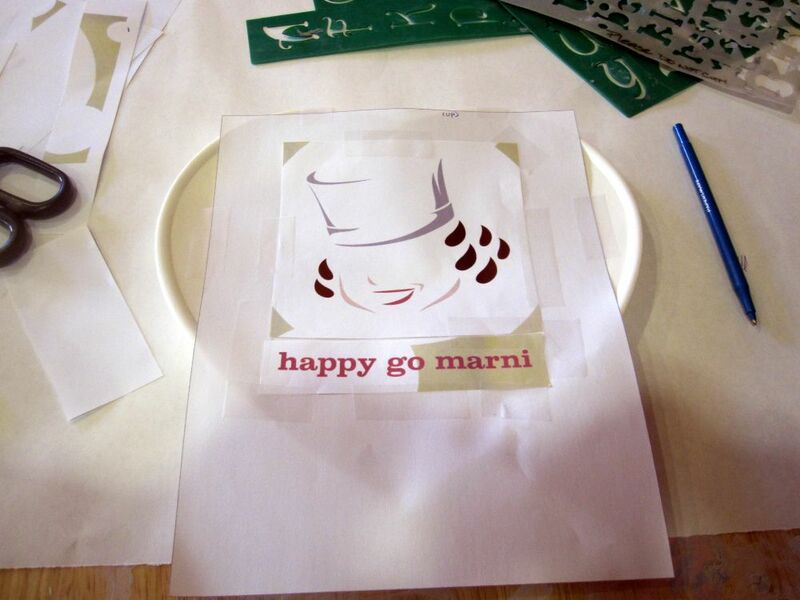 The Making Of: A Happy Go Marni Plate! 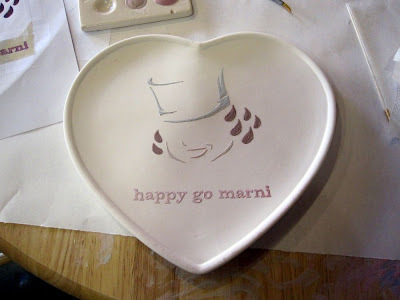 Soooooooo, I decided to make a Happy Go Marni heart-shaped plate. I love me some hearts! And a serving plate for my baked goods is always a good idea (you can never have too many). Plus, how cool is it to be able to tell your guests you made this awesome dish? To make this plate, I went to Color Me Mine in Beverly Hills, a ceramics shop where you select a piece to paint and then they glaze and fire it for you. It's ready for pick-up 3 days later. 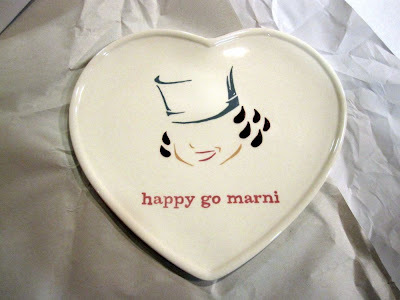 To get the Happy Go Marni logo onto the plate, I used the computer in the shop and pulled up my logo, resized it to fit the surface of the plate, and printed it out. I then placed the image over special carbon paper and used a pen to outline the design, pressing hard enough for the lines to appear on the plate. 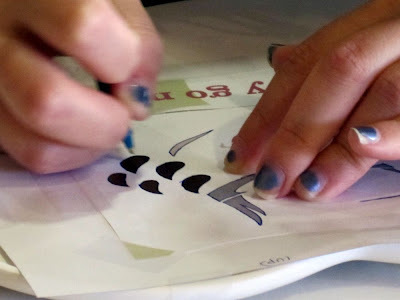 That created the perfect stencil for me to paint on! 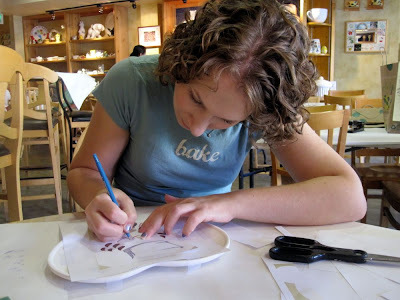 And the carbon lines disappear when the pottery is fired in the kiln. 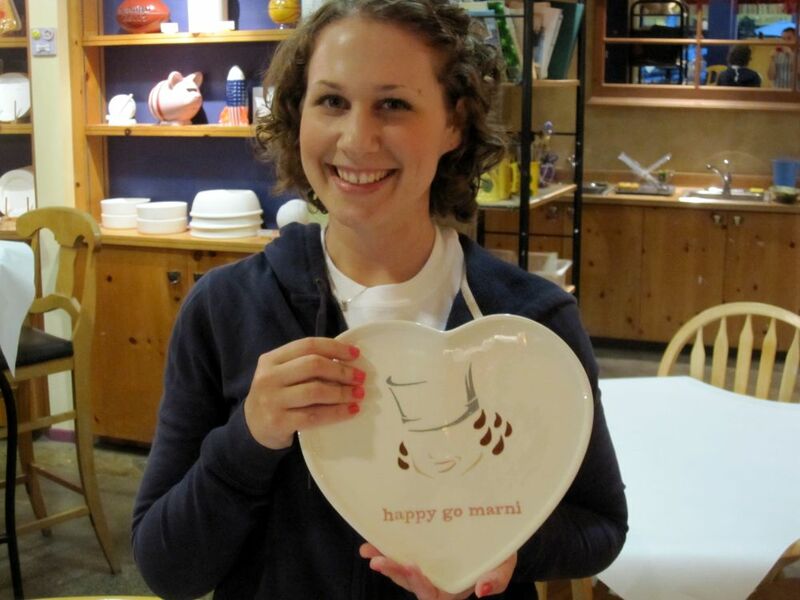 3 days later and here it is glazed, fired, and ready for serving!